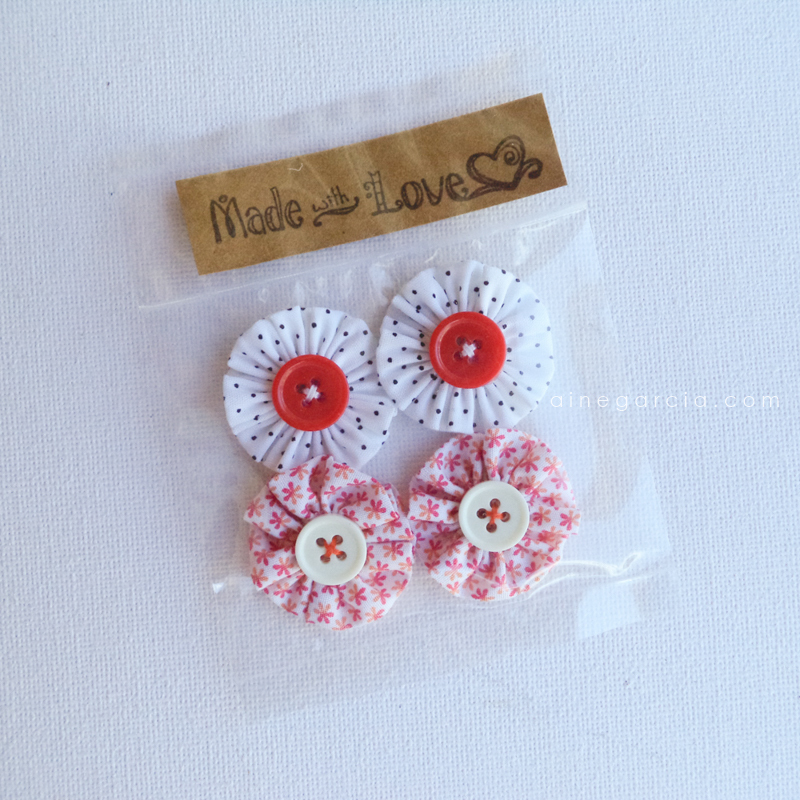 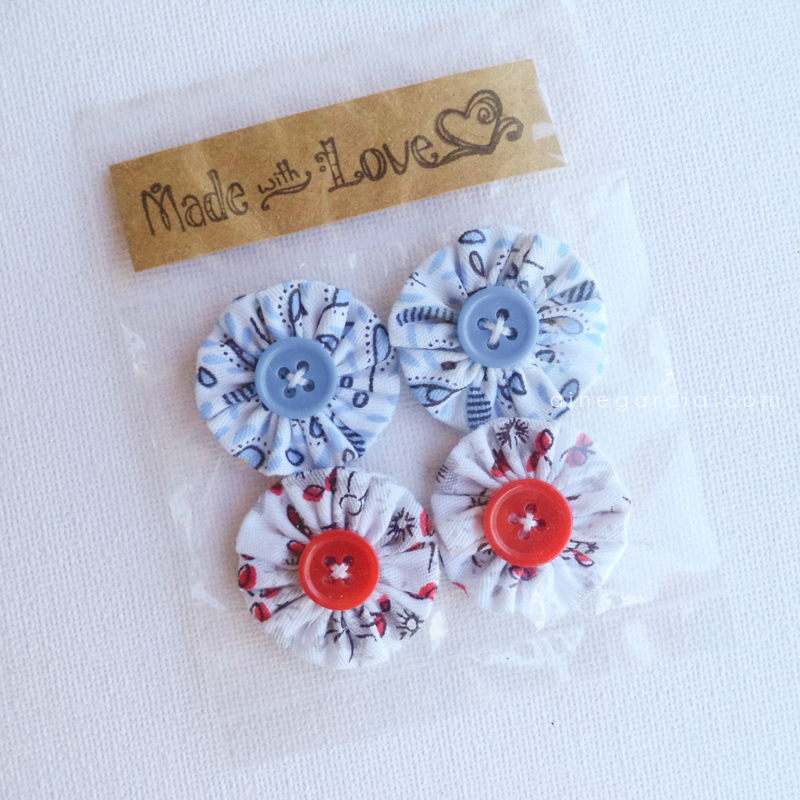 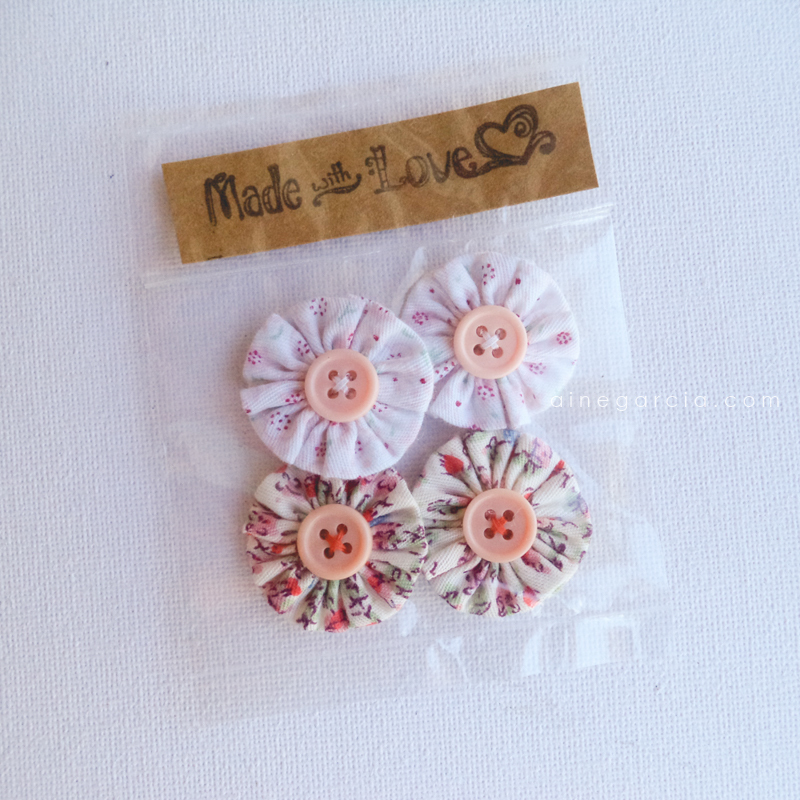 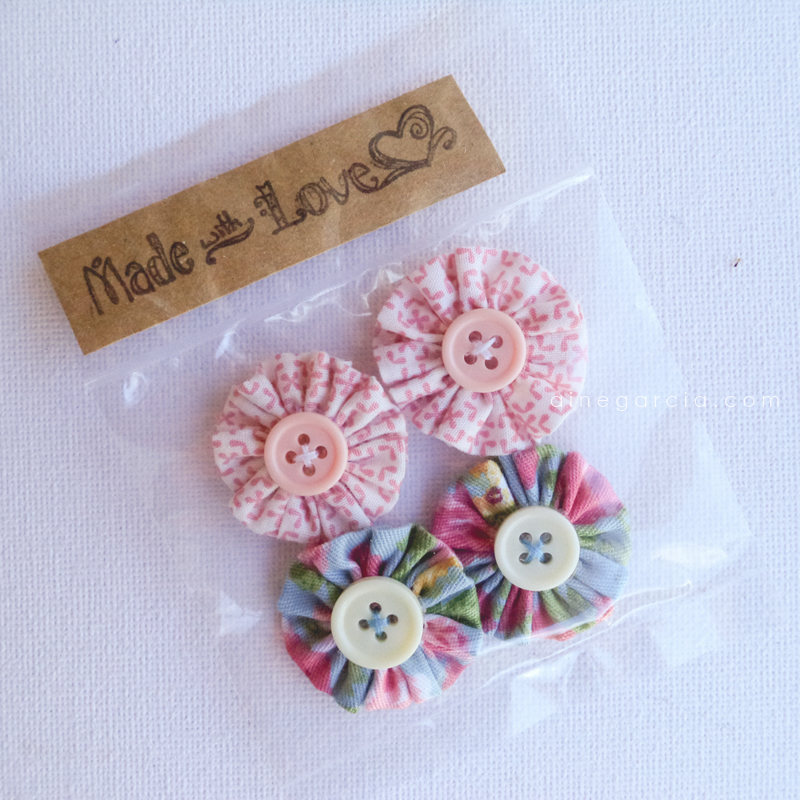 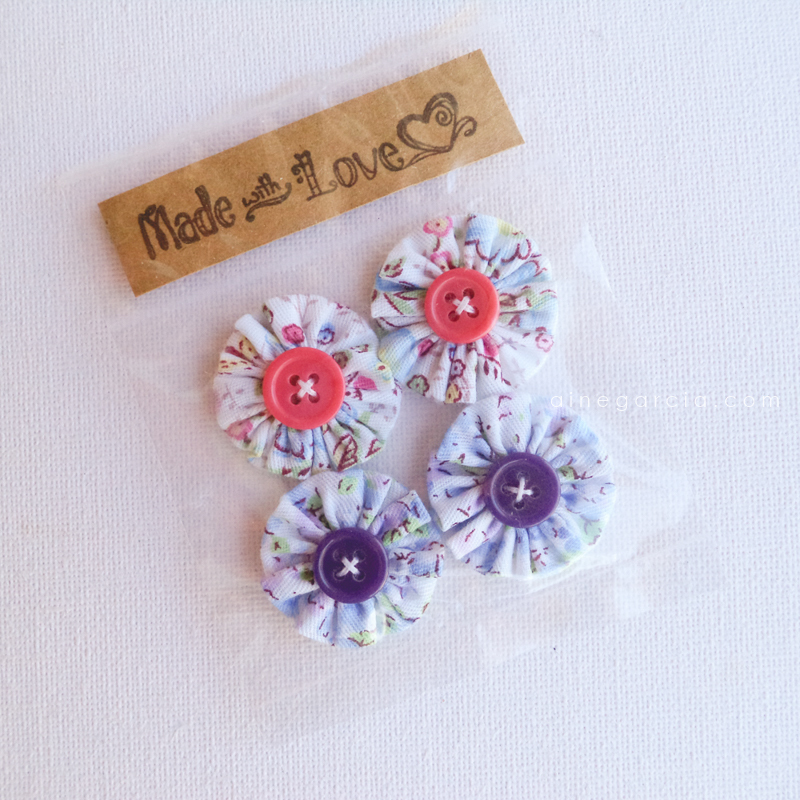 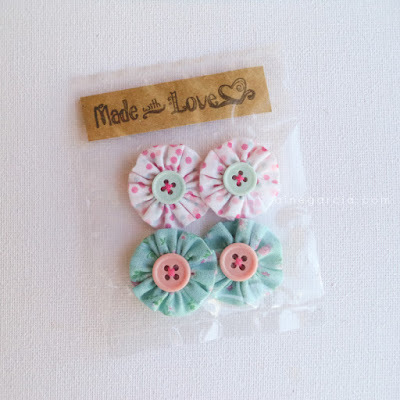 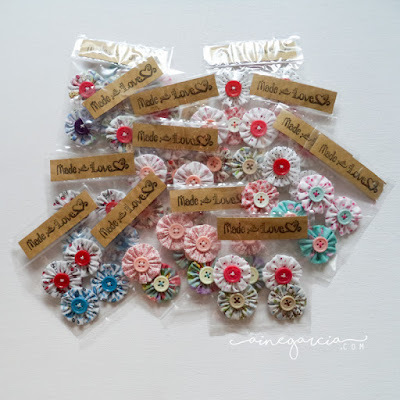 These cute little flowers are probably the tiniest I have for my Nia&Bella shop. 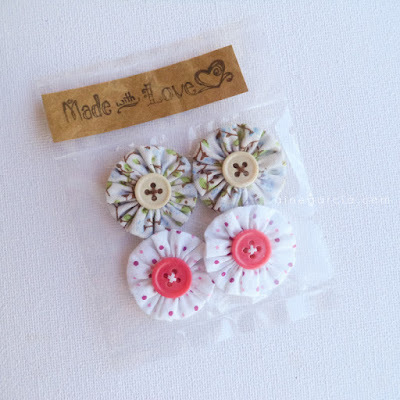 Measures around 1-1.5 inches, this version of yoyos are perfect for any craft project you have in mind. I'm selling this at 2 pairs per pack and they're ready to use as well.